How do you make Data Science more accessible? A lot of folks say the answer is to create easy to use drag-and-drop tools that hide all the complex, icky stuff. 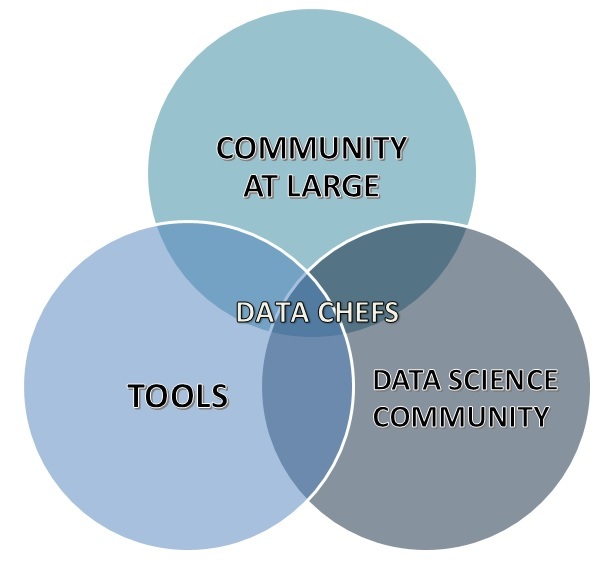 At Data Chefs, we totally get why smart, dedicated people think Data Science should head in this direction. But we don’t think it’s sustainable. 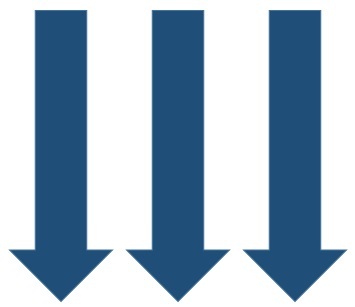 If you know exactly, precisely the kind of data analysis people are going to want to do, then easy to use drag-and-drop tools are great. But in our experience, it often doesn’t play out that way. Say you’re part of a coalition that’s tried to reduce kids’ asthma that’s caused by polluted air. Someone finds this great little tool that lets you easily import in data and map it to your heart’s content. Problem solved! And then someone points out that for two thirds of the data visualizations you want to do, the maps are perfect, but for the other third you need a different kind of map – and the easy-to-use tool doesn’t make those kind of maps. In short, using the “easy” tool has morphed into complicated, painful process that nobody will remember how to do three months from now when you need to create another set of maps. Or worse yet, there is no obvious workaround – now you need a programmer. We don’t think it makes sense to keep building a data science landscape where there are easy-to-use tools but when you need to go a little beyond what they can do you fall off a cliff. Instead, we think it’s time to take a page from the world of cooking. The world of cooking isn’t divided into people who can only microwave a hot pocket and Master Chefs. Instead there’s a continuum of experience. A lot of people start off their cooking journey by just being able to microwave a TV dinner or add milk to cereal. Then maybe they learn how to make mac & cheese from a box, scramble eggs in a pan, or throw together a simple salad. Then maybe they learn how to grill burgers or bake chocolate chip cookies from the recipe on the chocolate chip package. Then they build up a repertoire of a handful of their go-to recipes. Or maybe early on one of their family members or relatives teaches them how to make some simple versions of the food that are part of their heritage. Or maybe they decide they’re going to take a class. There are lots of paths you can take to learn to cook. And not everyone gets to or needs to get to the same level of skill; plenty of people can take care of their culinary needs without becoming an expert cook. But what most of these paths have in common is that there’s a continuum. If you want to do more than microwave hot pockets, you don’t have to enroll in the Culinary Institute of America. You can take baby steps towards getting more skill based on what kind of food interests you the most and how much time & effort you want to put into it. 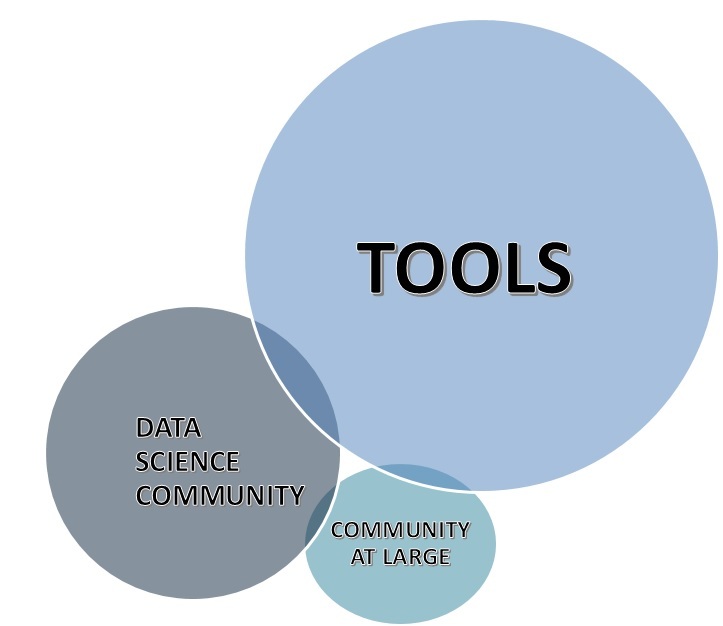 We think the world of data science would be a lot more accessible – and a lot more diverse – if was built around a continuum of tools that, like cooking, let folks take baby steps towards getting more skill as they had the need and time for it. What exactly would this continuum look like? We’re not sure. 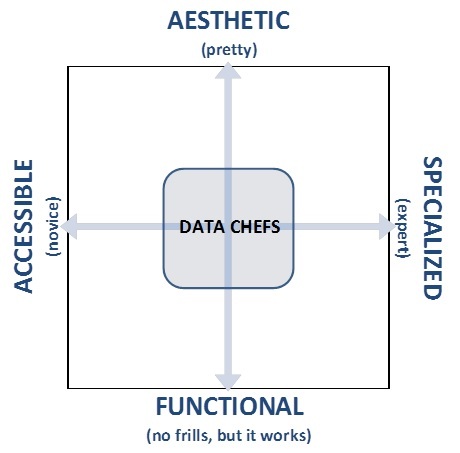 That’s what Data Chefs aims to find out.